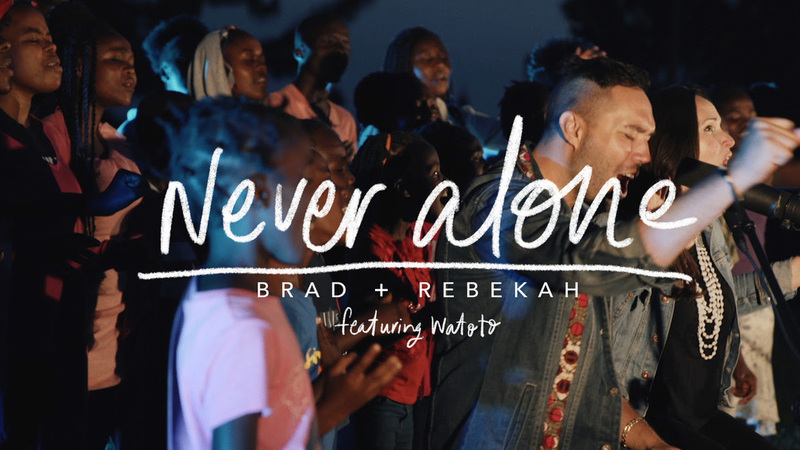 World-Traveling Worship Leaders Brad + Rebekah releases an Impactful music video for their new single “Never Alone” featuring Watoto Children’s Choir – a group of African children choirs based in Kampala, Uganda, at Watoto Church. The inspiring visual comes ahead of their upcoming full length project, “Sound of Heaven”. Brad + Rebekah’s Sound Of Heaven will debut on Feb. 16, marking the couple’s seventh album in their 10 year-journey as a worship duo.